Permanently etched with graduations from 0 to 180° in opposite directions. 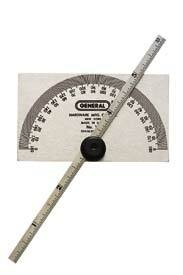 Narrow 6" x 1/4" depth gauge rule has etched graduations in 32nds and 64ths. 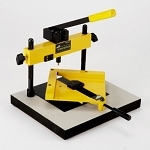 Spring tension nut locks rule for making both depth and angle measurements. Packed in individual vinyl case.